As mandated by state statute the Civil Section is responsible for the service of process in civil and criminal cases throughout Washoe County. Staff members process and serve thousands of court documents each year. A wide variety of papers are accepted, including protection orders, subpoenas, summons, writs of execution, evictions and other court orders. 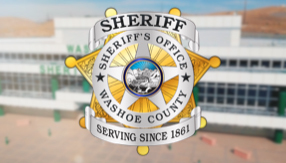 To ensure proper processing of your documents please contact us directly if you are submitting any court orders, other than a bank levy or wage garnishment, directing the Washoe County Sheriff's Office to commence an action. These orders must contain certain language for us to execute properly. Documents for service can be brought directly to the Civil Section or mailed to the office. We do not validate or authenticate any documents. Improperly prepared paperwork is not our responsibility. Service requests without proper payment or instructions will be returned. We will not accept any electronically transmitted paperwork including facsimiles. We are open Monday through Fridays at 7:30 a.m. and close promptly at 4:00 p.m.
Telephone hours are 8:00 a.m. until 3:00 p.m.
We are closed on observed state holidays. If you have any comments you would like to make regarding the quality of service you have received from our office we would like to hear from you. Please call the number listed above and ask for the supervisor.